The topic of concussions has become a controversial topic in the sports world in recent years. 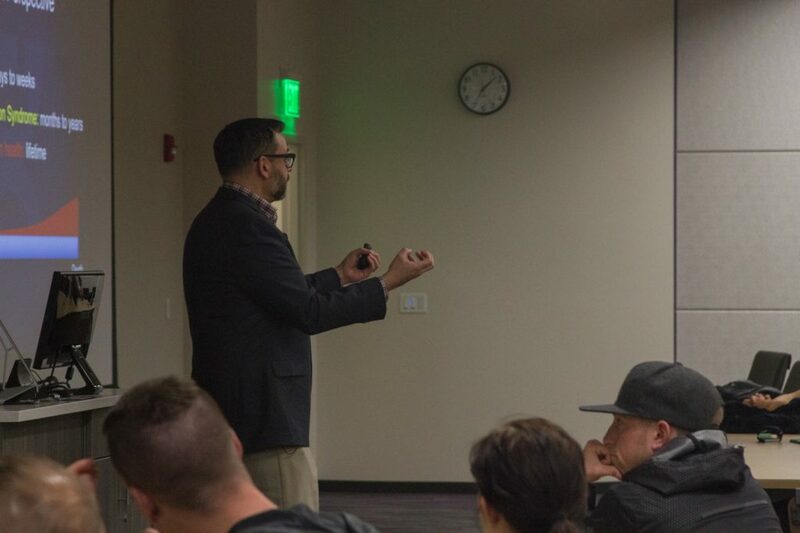 As part of Brain Awareness Week at Weber State University, Jeffrey Kutcher of the Sports Neurology Clinic spoke to students, faculty and athletes on March 21. Kutcher worked on the medical staff for the University of Michigan football team for 13 years. 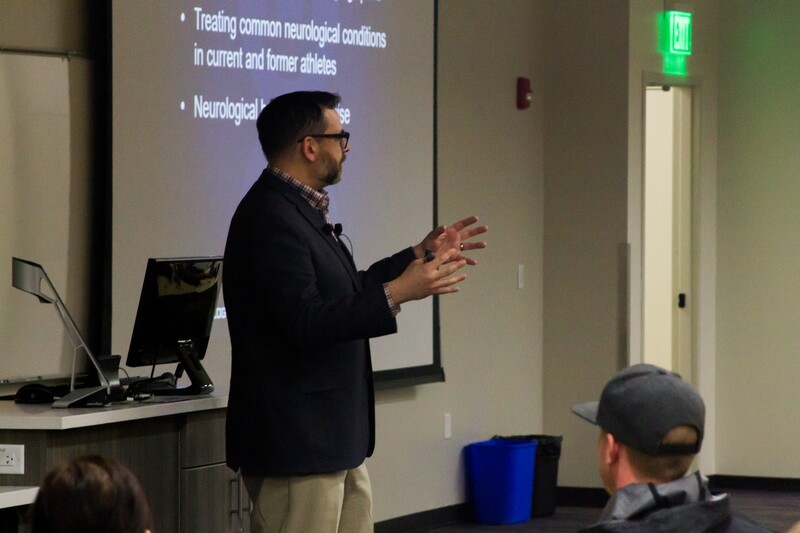 He covered topics from symptoms and patient perspective to showing videos of severe head injuries athletes have sustained. Kutcher said he hoped audience members learned a valuable lesson by attending. Kutcher said a misconception athletes often make is not realizing something is not right – either physical or mental, after absorbing a hit to the head. 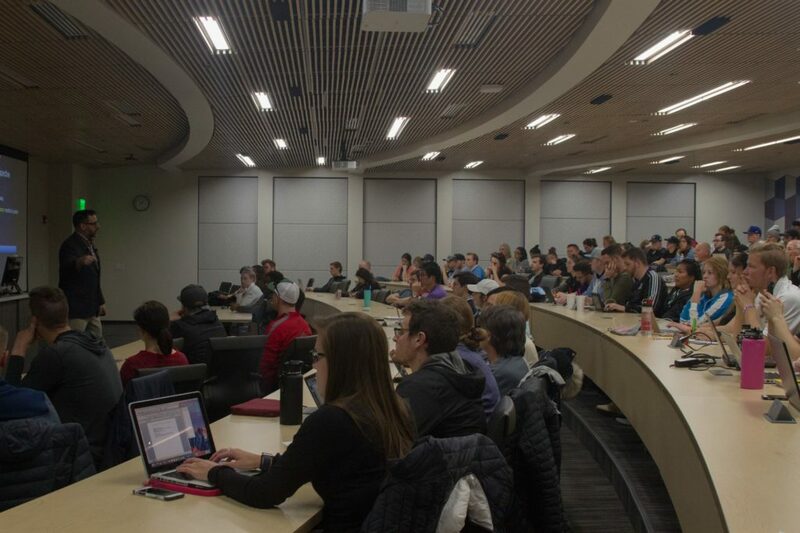 Following Kutcher’s talk, a group of WSU athletes took to the podium and took questions from the audience in the hopes of raising awareness. Dominique Williams, a junior forward on the Wildcat women’s basketball team, has a history of concussions and said it has become easier for her to realize what is happening. WSU football defensive lineman Jared Schiess said he did not learn about head injuries until he came to college. Kutcher said it is important for all students to become educated in brain health.